I really enjoyed this game when it came out, and in my review for it, I talked about the great action and exploring that Darksiders bring. There is now a demo which is said to contain over an hour of gameplay, so that should be enough time to really check out how Darksiders plays. Check it out! 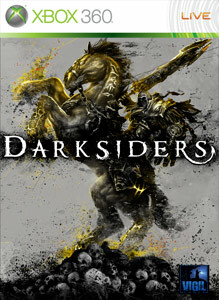 "Battle through the complete first dungeon of Darksiders, with over 90 minutes of gameplay. Take on Hell’s demon hordes, explore the catacombs of the forsaken Twilight Cathedral, and face off against the hideous Bat Queen, Tiamat."